Do Biceps Tendon Tears Require Surgery? Does A Bicep Tear Require Surgery? POP! You heard a horrible sound coming from your elbow. Over the next day or two swelling and bleeding will be seen around the elbow. If you look closely you will notice a deformity of your biceps muscle. The bicep tendon is the most commonly torn tendon around your elbow. If you suspect that your tore your biceps tendon you should see an Orthopedic Surgeon sooner rather than later. We prefer to fix these tendons — if you choose to have surgery — within the first 3 weeks after the injury. The biceps not only assists you in bending your elbow, it helps you turn your forearm so you can turn a screwdriver, open a door, etc. The biceps serves many important functions. Injuries to the biceps are fairly common. Most people who tear their biceps clearly recall the event. You were helping someone carry something heavy, the other person let go and you felt your biceps tendon pop. You went to lift up someting quickly and felt a pop. These are very common stories. The biceps tendon provides a lot of the strength necessary to turn your forearm. If you are active, workout frequently, use hand tools, garden, etc you will likely rely on your biceps tendon frequently. Surgery is not necessary for all bicep tendon tears. But surgery for biceps tendon tears is recommended for many active adults. Can you consider treating a biceps tendon tear without surgery? Many of you might lead a very sedentary life. You do not use your arms for anything more than normal activities of daily living. If you are willing to live with a biceps muscle deformity, then you will usually do very well without surgery for your biceps tendon tear. You shouldn’t notice any weakness, but might have an occassional spasm in the muscle. If you, however, you live an active life, and certainly if you rely on your arms for work then you should consider having surgery to repair your biceps tendon tear. 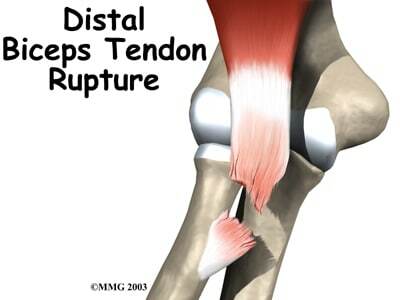 As mentioned previously, distal biceps tears should be repaired within a few weeks after the injury. Otherwise it might be very difficult to repair the tendon. How is a Biceps Tendon Repaired? When the biceps tears, the tendon snaps up into the arm. We make a small incision across the front of the elbow, the torn biceps tendon is identified and brought back down to its normal attachment on a bone we call the radius. Then we must attach it to the radius. When we repair the bicep tendon tear we can use sutures, suture anchors or other devices which help secure the biceps back in place on the radius. After the biceps is repaired, the skin is closed and we place you into a splint. After the surgery you are in a splint for a 7-10 days, then a sling. You will likely start moving the arm soon to prevent stiffness, but you will not be allowed to lift anything for a number of months. If you try to do too much you will re-tear the biceps tendon. After we give the biceps tendon enough time to heal to the radius bone you start physical therapy. Once you have completed your therapy, most patients are capable of returning to full activities — including sports, jobs with heavy lifting, and weight lifting. There are risks to any surgery, and surgery for a biceps tendon tear is no different. Overall the risks are very low. The risks of a biceps tendon repair include infection, elbow stiffness, numbness in the forearm, and a potential injury to a nerve which can cause weakness in your wrist. Achilles Tendon Tears: Is Surgery Necessary? Biceps tear around the shoulder or elbow ? They are very different animals. Most all tears around the shoulder can be ignored, unless it presents as a cosmetic issue for you. Many biceps tears around the elbow can also be treated without surgery, but it may lead to weakness — which may affect you based upon your job, activities and lifestyle. it’s been 4 days since I tore my bicep at the elbow, and I have another 12 days until my insurance is active. Is the 16 days (since the day of the tear) or possibly a little longer, too long to wait for surgery? I have read that it the year needs to be repaired asap due to muscle atrophy.. Is that true or can I wait until my insurance is activated? shouldn’t be a problem for someone who performs these often. I have a partial bicep tendon tear at the elbow. It has been about 6-8 months now. I can still lift weights with it, but with reduced strength. Is it too late for surgery? No.. as long as the tendon hasn’t retracted up your arm, then a repair is possible. I’m 76 and active and would like to be more active to paddle Kayaks and get them in and out of my pickup truck bed. Also, I enjoy helping my wife in special yard/garden projects. Over a decade ago I torn/ruptured my right long bicep along with my right rotator cuff fly fishing doing a lot of double hauls with a heavy one handed fly rod and heavy shooting heads/flies. Since then I have had two series of PT for the torn cuff and bicep. In the past year, my right bicep has gotten to the point of aching 24/7, painful to lift my hand over my head and interrupting my sleep. I’m in good health and want to get back to kayaking and using the two handed fly/Spey rods which minimize strain and damage to shoulders and arms. I can’t have an MRI due to extensive foot surgery in the past two years and ending up with quite a bit of metal in my foot. Enough to set off alarms last fall when I attended a football game at Levi Stadiums’s security gate. Can I have surgery with good results without a MRI? WHo told you you can’t have an MRI? That’s unusual. Anyway… a good quality Ultrasound can assess the integrity of your rotator cuff too. Can a torn bicep be repaired after 6 years? I completely tore my distal tendon 1.5 months ago, but haven’t had any issues with pronation or supination movements nor do I feel any pain. Is this normal? I live an active lifestyle, but have only noticed that my bicep has retracted just a little bit. Will my bicep continue to retract or after a certain will the bicep no longer retract?Is it still possible to perform bicep workouts and will it at all be possible to rebuild the bicep? I just can’t seem to decide whether or not to get surgery. Thank you in advance. Some people do fine without having them fixed. Others will notice some supination weakness. I ruptured my distal tendon 3 1/2 months ago. Would it still be possible to have the tendon reattached? What is the success rate? It is possible… but challenging. See someone who has done this before. I’m 43 years old and I tore my long head bicep from the shoulder a year ago. At the time, the Orthopedic Dr. said I did not need to repair it due to my work and lifestyle. However, I keep regretting the fact that I did not have it fixed as I can’t get over the cosmetic aspects of it. I know I should have gotten a second opinion. Can I still have this fixed after a year? It is possible to have it repaired … it might not look completely normal, but we are usually able to improve the appearance significantly. MIke… These are very challenging cases. We are never able to get it perfect… but we can usually improve the appearance. We always need to use a graft because the old tendon is reabsorbed by the body. I had rotator cuff surgery 3 years ago (going on 4 ) and the surgeon cut the long bicep muscle to see if that would help the shoulder , the arm is very weak and the bicep cramps and is deformed somewhat can this be repaired by surgery? cramping is a potential side effect. We can usually pull the tendon up a little to help with the cramping. But there are times when we can’t. Is it possible for the gap to later fill in? Will the tendon shrink and muscle stretch? Because I feel like its pretty much healed after these 5 to 6 weeks. Still not putting heave weight for the next few months. But just not sure if its gonna get to looking any better. Thanks for your reply sir. OK had surgery in 2010 for repair of shoulder clean etc doc also did some bicep work as i could not move my hand as to wipe a counter top motion like wiping a dish counter pain was horrific. any way had labreum tear in 2003 that was repaired fine still OK week after 2010 surgery my bicep popped. Doc said i would be fine John Elway won Super bowl with one OK i get that. I’m not 35.
case so i pulled lawnmower to start it Pulled back tore more shoulder tendon now i have 2or 3inch tear back in shoulder. Docs all say shoulder replacement and also cut arm open to repair bicep but i don’t want replacement as only 50 .not mention Drs. names as i am in Boston but if you can recommend one that i am not familiar with would help.of course they also say to young for replacement and arm movement will be limited as like not reaching can of beans in my Kitchen Cabinet. So Ultra sound injections and Pain meds no help. Movement is fine raising Arm with elbow out to side i only get chest high before Pain. I just received and MRI on Wed and my Dr. told me that I separated my bicep from the elbow up.. I have full range of motion a little soreness but no major bruising as shown in some pictures that I have seen. I live a very active lifestyle and I am suppose to attend a training course for work soon. If I don’t attend this course and get the surgery I will be out of work and have no income. My question is, do I absolutely have to get the surgery. And if I don’t what are the long term affects if I don’t?? 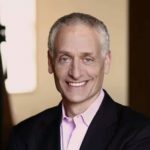 Hi Mark … Did you have a chance to ask your doctor these questions? They are exactly the questions that needed to be asked. While most distal biceps tears need a repair… many patient choose not to have the surgery. Life is complicated. We all can’t afford to take 3 months off of work until our biceps heals after surgery. Without surgery your biceps might look funny, and your arm might be a little weaker. I have had many patients who chose not to have surgery and have done very well. A few have regretted their decision in retrospect, but most a living very productive lives without their biceps. You need to have this convo with your doc or a second opinion. You do have options … you just need to have a better understanding of the outcomes of the various options. MRI shows Bicep Tendon tear. Pain stems from top of shoulder to middle of bicep. Very sharp with a audible “POP” that surprises me every time. Cortisone shot helped a little. It’s been a little over 3 months since injury (through arm wrestling). Would like to get back to lifting weights. Are you saying we can avoid surgery? Is the biceps torn near your shoulder or near your elbow? I ruptured my distal biceps tendon at the shoulder 4 weeks ago. I am in the process of healing another surgery for an abnormal mole on my head so those complications are prohibiting me from pursuing my distal tendon repair. The doctors I have been seeing are surprised at my supination strength and because I am 62 years old it is likely that surgery may not be necessary. I am probably in agreement with the no surgery suggestion but I haven’t confirmed where to draw the line with heavy labor around the house. I do some gardening including planting bushes. I carry 40 pound bags of salt in each hand for my water softener. I push mow a half acre of lawn. I golf, lift light weights like max Dumbbells at 25 lbs in each arm. There are just a lot of things around the house that take strength. I don’t know where to draw the line. I don’t want to hurt the arm further or cause a problem with the other short head tendon. Should I be resting the arm at just 4 weeks post injury? If I am not feeling pain can I perform tasks as I did before without a weight restriction? Hi Craig… IF the biceps tore at the shoulder then we call that a proximal biceps rupture. We rarely operate on this unless it is a cosmetic issue. Proximal biceps tears around the shoulder do not produce much weakness. My husband has torn the tendon from the muscle at the elbow, there is still some fragments attached but a very small amount. The hospital has advised not having an operation they said it wouldn’t be possible to attach the tendon back to the muscle, we are going for a second opinion though. Can this actually be operated on and how much strength would he lose if he didn’t have an operation. These are questions we asked the consultant however he didn’t know. muscle-tendon junction tears of the biceps can usually be repaired, but they are more tricky and more complicated. It did rupture at the shoulder I believe it is called the long head biceps tendon. I do feel strong with only a few odd twinges when stretching. Sometimes the shoulder pops a little like the joint is loose. This is just such a strange situation…. Rupturing a tendon and now for the first time in well over a year being pain free. Should I limit activities where lifting heavy items is involved or limit rotational motion like swinging a golf club? Thanks for the quick response earlier today! I had the long head of my bicep tendon re-attached to the upper arm. I feel a weakness from the shoulder area when I am doing certain weightlifting exercises. I am assuming this is normal, but I don’t like it. At the time the surgeon told me it was the best method with the least complications. I am wondering if I should have insisted the tendon be attached back into the shoulder area. Would this have been a better choice or would have the risk outweighed any gain from normalcy? Robert .. we do not repair the biceps back to its insertion… once it has torn, it can not be reattached to its natural position. If the shoulder feels weak, there is likely something else going on. I am 60 yrs old and tore my bicep at the elbow about 2 months ago. Is it too late to have it repaired? It’s not necessarily too late … but the more important questions are 1) should you have it repaired and 2) are you willing to deal with the potential complications and outcomes of a more difficult procedure. I am a very active 44 year old who lifts weights regularly. I tore my bicep near the elbow while skiing 3 months ago. Unfortunately the tendon has retracted into both upper and lower bicep. Trying to avoid surgery in the summertime, I just rested it, and now I have full range of motion but only about 75% strength, but no pain. but my bicep has a big gap now too.. At this point should I consider surgery to get the rest of my strength back? Will surgery help get my strength back and will surgery fix the visual deformity? Will I eventually get my strength back if I opt NOT to have surgery? HI Greg .. This is now a much more complicated procedure with less predictable results. It is possible to repair the biceps, but you would need a graft to fill the gap which will exist. Sometimes we can get the biceps back to its normal position but often is the case that it still looks different than the normal side. If you have surgery on a torn bicep tendon by the elbow do you go home the day after surgery or do you have to stay on the hospital for awhile. It is usually an ambulatory procedure. Very little pain. having surgery for a distal bicep tendon partial tear at the elbow how long is the recovery for this surgery? Hi, Just seen a second doctor for my Distal Tendon tear for a second opinion. I have very little tendon still attached to my bone. I am 55 years old active like to golf and lift weights. I am worried that sooner or later the tear will be completely torn. I am going on vacation in 4 weeks and the doctors tell me that I will be in a sling and not be able to lift weights or golf for at least three months. I am at this time due to some tendons still attached see very little bicep deformation. Doctor says after it tears completely you will see the deformation. Will the little tendon still attached strengthen? Should I have surgery? If I don’t have surgery can I start lifting and golfing? All excellent questions Jay .. Many people lead long happy lives with an unrepaired deformed biceps. For others who do not want the deformity, or perhaps the subtle weakness, then they choose to have it fixed. It’s not always a very easy decision. I tore my bicep tendon at work a few days ago. I work in a warehouse and all I do is lift boxes from 50 lbs. all the way up to 400 lbs. I am seeing a surgeon in a couple of days to see what to do from here. I am 50 years old and until a month ago have always had a white collar job. Am I more apt to having this happen again? Should I be looking for another job? Will surgery be the best option for continuing work in this field? Many people with demanding jobs or hobbies will choose to have their biceps repaired… others might not. The downtime is long after the repair to allow for healing. These are fairly common and do not mean that your body is breaking down. Good luck with your decision making ! My husband has a partial bicep tear… initially they said that he would not require surgery although after the MRI results the recommendation is surgery. My husband is a Car Hauler and its 2 weeks after the injury and he is experiencing very little discomfort and no limitations in movement or abilities. Any strength needed to secure cars to the truck is easily accounted for by his other arm. Is it possible for him to decline the surgery and still be medically cleared to return to work? He could wait to see if it tears completely. Some will completely tear and some might not. IT’s up to him if he is willing to take that risk. Hi, I’m 38 years old professional arm wrestler my distal bicep tendon popped during a match. I went to ortho right away and they scheduled me for surgery 3 weeks later. I went in and when I woke up the doctor said that he had bad news and could not reattach the bicep because the tendon separated from the muscle and there is nothing to attach too. There was no mri done and gave me about a 4 in. Incision to do nothing but clean out the area does this sound right to you ? Thanks for your time. Jay … In my 15 year career I have seen two muscle tendon junction tears. They are fixable, but are more challenging. We can usually use a mesh or an allograft to supplement the repair. Thank you for your article. I am an active weightlifter and ever since I attempted a handstand pushup. there has been pain in the center of my biceps which I would describe as a tingling, burning ache, It also at times radiates to the back of my arm to the elbow and there is also pain in the shoulder. However, I see no visible deformity to my biceps and there are no bruises on my bicep. I noticed a slight loss of strength and I am not able to contract my bicep as hard as before. Do you think I have torn my biceps? it’s possible… I can’t say without examining you. I have completely torn my long head tendon, I also have rotator cuff tears. I’m scheduled for surgery on the rotator cuff but my Dr. says he will not re-attach the long head tendon due to the pain involved. I think that because I’m having an operation anyway that the long head tendon should be repaired at the same time. The long head tendon completely tore in February. Is it too late to repair it? Should it be repaired? Hello doctor. My husband had an accident at school on a forklift and I am pretty sure by the looks of his arm, the pain, and popping of his elbow that he has a distal elbow tear. His muscle looks to be in the middle of his arm which shows a sort of hole or dent between the muscle and elbow. The accident happened last September. He is only 24 years old and very active. We have not gotten a medical opinion on this diagnosis but I am confident that his tendon is torn. Is it too late for something to be done? I am 46 years old and raptured my left LHBT doing curls. Because I have an HMO the process of getting surgery took 39 days. I was wondering if the long wait will cause my biceps to be shorter or slightly deformed. Is the button and suture technique that they have used as good as the interference swivel screw? I have heard that it has very high initial tendon displacement. nope.. the absent biceps will not be the reason you may not return to playing tennis. Loss of motion following a distal biceps repair is very rare. If it is treated non-surgically, the risk of loss of motion is also very small. Just be sure the surgeon you are talking to performs many of these and is very comfortable with them. Hi Doc. I had a distal bicep tendon rupture on July 8th playing baseball and swinging at a high pitch. I continued playing with it for about a month and finally went in to get it surgically repaired. After surgery, the dr. told me that he couldn’t fix it because the tendon shrunk and started scarring to the bicep. I am now two weeks out of surgery. I know playing baseball & softball was difficult after I tore the tendon and it hurt to swing. My question is, if I rest it over the winter (8 months) or so, will I still be able to play ball and golf pain free starting next spring? I’m only 28, the little loss of weakness isn’t huge to me but if it’s painful to keep doing the things I love I may want a second opinion on what I can do. Thanks for your help! It is possible to use tendon grafts to be able to repair difficult ruptures… but that being said, many people return to a very active lifestyle with a non-surgically managed distal biceps rupture. Btw… we would be more than happy to see you for a second opinion..
Hi, i suffered a partial tendon tear at the elbow, the surgeon used ultrasound to identify it was still connected but also said the biceps tendon had stretched. my bicep has moved maybe 1.5″ up my arm. He suggested conservative treatment initially but said an option to surgically Imbricate the tendon was available. Its my understanding this is folding the tendon and stitching it to shorten its length? ” There is a heterogeneous and thickened appearance of the biceps tendon distally. Abnormal fibres can be traced to the radial tuberosity. There is some attenuation to the proximal aspect of the tendon. Fibers can be satisfactorily identified however. No evidence of gapping. 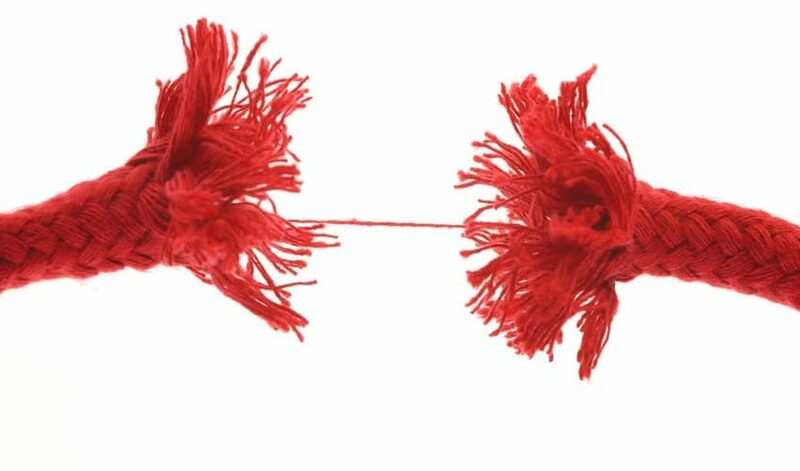 There is some bunching of the distal muscle however, no clear muscular injury. 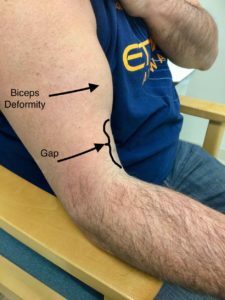 Opinion: the appearance would be consistent with a partial injury of the biceps tendon distally with subsequent scarring. There is elongation of the tendon. no evidence of muscle tear. Hmm.. it sounds like you have a partial tear off the tuberosity (bone). An imbrication would not address this… nor is an imbrication performed often at all. Might I assume you have pain ??? Or are you considering surgery for some other reason? If a partial distal biceps tear due to tendinosis (degeneration) doesn’t respond to non-surgical mgmt, then reattaching it to the radial tuberosity is an option. That will also shorten it and restore the appearance. unlikely… Tight Pec minor and the long head of the biceps as well as radiating AC Joint pain can hurt in that region. Thanks for your response to my question. I don’t have pain as such, my arm just feels a lot weaker than it did prior to injury (6 months Ago). I am a keen gym user and construction worker, heavy work with my arm extended makes my arm feel strained, so i was considering surgery to try and improve this. Also the creased and bunched look of my bicep offends me. Hi my name is Paul and i live in N Ireland and have a distal biceps tear which i have been waiting two years to have an operation on and naturally would like it sorted. my consultant said he would probably need to harvest a graft from my hamstring but as i am a kickboxer i would prefer not to do this if at all possible. do i have any other options? any assistance would be greatly appreciated as this whole episode has impacted me quite negatively. Hi doc I ripped my distal bicep tendon last January an left it to late to have retracted, I’m scheduled to have surgery for grapht in December but am still in two minds. I’m Gardner by profession an have been working with it like this all summer, i have 80 percent strength but do get sharp pains in arm an tiredness , an certain movements are abit difficult then before will the grapht surgery eventually after recovery, exercise an time will it be stronger an have no pain. Hope you can answer thanks Barry . It’s a tough procedure… in many people it works well… in others, not so much. Just make sure that your surgeon is very comfortable doing it. Thanks for reply also is there any chance I will be worse off then now . Howdy Doc, I ruptured distal bicep tendon on June 11th and finally had surgery on Sept 3rd. It was only retracted 3 cm, I’m currently in a ROM brace @ 75 degrees ROM. I’m a competitive powerlifter and my job requires lots of lifting and moving equipment. I’m saying February before I’m 100% does that seem about accurate. Thank you in advanced. Every case is different Jimmy. I usually allow full motion within two weeks to decrease risk of stiffness… but do not start resistive exercises for nearly 3 months. Competitive weight lifting is 6 months down the road after surgery at a minimum. follow your surgeons instructions … they know what your tendon and repair was like and what’s needed at each stage of the recovery. Dr. Luks, Thanks for the response. Trust me I following all instructions to the point! Ive got good range of motion, but Im in no hurry to rush back to the platform, I want to be 100% before I start attacking the weights again. So Feb, Mar, Apr I don’t care I can wait. Thanks again. My partner had surgery just yesterday for complete distal Bicep rupture under general. The doctor couldn’t find the tendon to reattach. Should We be asking for a second opinion of anything else we can do or. just accept it can’t be repaired? I tore my bicep clean through the middle a week ago. According to sonar and doctor I saw, the tendons at elbow and shoulder are still attached to the bone but there was a total rupture of bicep. My bicep has moved up towards shoulder so I am assuming that it tore closer to the elbow side. I have the gap closer to elbow now. Advice from my doctor is to avoid surgery as this might not always be successful and can form scar tissue. I still have a lot of movement and can turn palm inward and outward (outward is a bit sore). I am 45 and still very active – your opinion on joining muscle to muscle? Gus… Many of us do not recommend surgery for proximal biceps tears unless the cosmetic issues or spasm bothers you. My boyfriend has a distal bicep tendon rupture to his left bicep that happen the end of Aug. with getting into his dr, the referrals to get the MRI and then the appointment to see the surgeon to see what to do about getting surgery took almost 10weeks =o( He was scheduled for surgery 3 weeks ago but due to a cold they have postponed it and now the dr is saying it is to late to have the surgery?? should he get a second opinion?? He should … it is harder to reconstruct now.. but certainly not impossible. 6 weeks past and it felt fine again so I made another doctors appointment and asked if I can resume weightlifting and just start off light and he gave me the all clear. So started back in the gym on the weights and all was going well then at work (I’m a mechanic) I was pulling on something when I heard a loud click/crack in my shoulder and the pain returned but it subsided very quickly this time (3 days) but I’m now very un-easy about doing anything with my left arm and I think the deformity has worsened (poppy muscle) I can rotate my hand without issue and I seem to be able to lift without issue, weirdly the only time I now feel pain is when getting soap out the soap dispenser at work so with my palm facing up and using my palm to press the dispenser button the pain is on the inside of my arm near my arm pit also if I poke deep in at my armpit I can replicate the pain. When I asked the doctor about surgery it was quickly dismissed but as my job is physical with heavy lifting and I’m an active body-builder (hobby not professional) could I push for surgery? If not or in your opinion not worth it could I every return to weightlifting without issue that’s all I’m really interested in I could live with the deformity but I need to be able to trust it at work and in the gym, last thing I want is to be doing something like removing a gearbox on a lift so above my head when it goes and I drop it on me or someone else? I would appreciate any advise at all. Proximal biceps ruptures produce very little weakness with overhead lifting. If the deformity doesn’t bother you then most would say to live with it. In some patients, a proximal biceps rupture will produce spasm too… rare but possible. If the spasm persists then some will choose to have it fixed to minimize the discomfort. Will I be able to train back to a similar strength in that arm? Am I right in assuming the other remaining bicep head will pick up the slack for the broken one? Again thanks for your advise it’s put my mind at ease. It’s getting really close to the end of our comfort zone. My son was waterskiing in early August. Upon trying to get up on the skis he felt a pop and pain to his right armpit area. Numbness/unable to use arm for a few minutes, then RICE treatment for the weekend. Some bruising to triceps area the next few days. Now, 3 months later, some strength returning, but unable to do pull ups or hang from a bar. He’s a weight lifter. He also cannot flex his pectoralis muscle like he did before the accident. There is a indentation along his upper lat when he flexes. MD said possible torn tendon of lattissimus or teres major. Very little information about the repair of this. What do you know about this type of injury that happens to water skiers and pitchers. Is surgery the best option or is it better to treat it without surgery. My son is very concerned that he’ll never be able to do a pull up or resume his regular weight lifting activities. Do you know of any orthopedic surgeion who specializes in axillae surgery? We live in Southern Ohio. Thanks. Tough case … And 3 months after the injury a repair will be very difficult. Many shoulder docs would be comfortable with this. Joe Ianotti, Brian Cole in Chicago, Ken Yamaguchi in St Louis … don’t know anyone offhand in OH … but the academic centers should have someone. At four months it’s likely still possible … but why does he want to do it? I’m gonna have surgery in 8 days but I was curious, I never had an MRI but just explained my story and showed him my arm. Is it unusual for a doctor to set up surgery with out having an MRI?